We went to a motel in New Zealand and I think they gave us a room that hadn't been used for a while. How did we know? 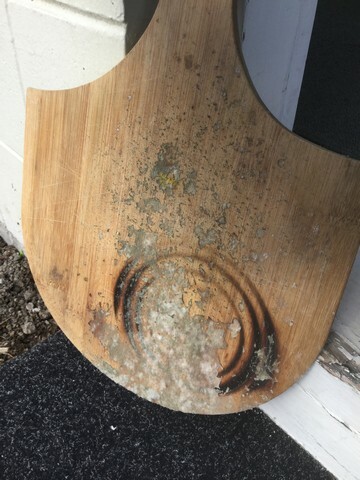 Well when we lifted out the chopping board it was covered in quite think mold. The picture doesn't do justice to it. We took it across to the motelier who was very apologetic and gave us a nice quality, new replacement. it's one of those things as the rest of the motel room was clean and nicely presented.